Some people really do not see the wonderfulness in this book. It’s quite divisive. Many picture books — indeed, possibly all of the best ones — do not just reveal that pictures show us more than words can say; they achieve what Barthes called “unity on a higher level” by making the difference between words and pictures a significant source of pleasure. That pleasure is available even in a very simple book like Goodnight Moon. Margaret Wise Brown’s spare text is little more than a rhythmic catalog of objects, a list of details that encourages those who hear it to look for the objects mentioned in Clement Hurd’s pictures. In doing so, however, they learn information the text does not mention. The old lady and the child to whom she says goodnight are both rabbits and not people. The old lady is knitting, and the kittens play with her woo.. The “little house” is a playhouse, and it has its own lights; knowledgeable viewers will even realize that the picture on the bedroom wall is actually an illustration from Brown and Hurd’s The Runaway Bunny. The delight viewers feel in discovering these things with their own eyes rather than with their ears reveals how basic and important is the difference between the information available in words and in pictures. Children are inclined to see objects as characters within their own narrative, and respond especially well to stories in which toys/objects/trees come to life. In children’s drawings, as well as in illustrations for children, we see a lot of suns with faces, animals with eyebrows, houses that look like their windows are eyes, kindly looking cars and so on. Mercer Mayer uses the same technique in his “Little Critter” series, in which young readers search for the grasshopper and the spider in each scene; here, sleepy children look for the mouse. In Rosie’s Walk…there are large areas of pure color, all different from each other. The effect is slightly jarring but cheerfully exuberant. Books as different as Clement Hurd’s/Leo and Diane Dillon’s unrelated colors in shocking combinations, all share a quality of energy and excitement, whereas even pictures as vibrantly colorful as the scenes through the window in Keeping’s Intercity express bucolic serenity at least partly because of their careful blendings of different shades. … Pictures that use dark shades seem both more somber and more cozy than lighter pictures; consider the difference between the jazzy opening pages and the comforting closing ones of Clement Hurd’s Goodnight Moon, in which the gradually darkening room is evoked by a gradual darkening in the shades of the colors. The telephone is mentioned early in the book, but is absent from the litany of ‘Good night …’ salutations. The primacy of the reference to the telephone indicates that the bunny is in his mother’s room and his mother’s bed. 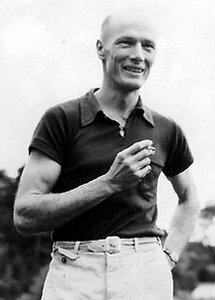 In 2005, publisher HarperCollins digitally altered the photograph of illustrator Hurd, which had been on the book for at least twenty years, to remove a cigarette. Goodnight Moon contains a number of references to The Runaway Bunny. For example, the painting hanging over the fireplace of “The Cow Jumping Over the Moon” first appeared in The Runaway Bunny. However, when reprinted in Goodnight Moon, the udder “for caution’s sake was reduced to an anatomical blur” to avoid the controversy that E.B. White’s Stuart Little had undergone when published in 1945 (Making of Goodnight Moon, 21). The other painting in the room, which is never explicitly mentioned in the text, portrays a bunny fly-fishing for another bunny, using a carrot as bait. This picture is also a reference to The Runaway Bunny. The top shelf of the bookshelf holds an open copy of The Runaway Bunny, and there is a copy of Goodnight Moon on the nightstand. 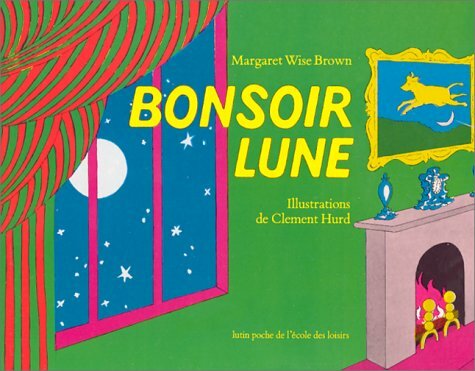 Bright Kids Books have compiled a list of books similar to Goodnight Moon. Anne Carroll Moore, the head of the Children’s Division of the New York Public Library … strongly believed that children needed fantasy and fairy tales, not stories about cars and busy city streets. The animosity between Moore and Mitchell was so strong that even Goodnight Moon, perhaps the best-selling children’s book of the Twentieth Century, and one that exemplified the tenets of the Bank Street School of storytelling, was not carried by NYPL branches until 1973. 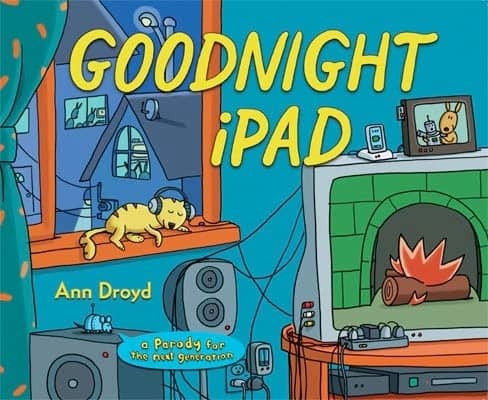 Goodnight Moon slowly became a bestseller. Annual sales grew from about 1,500 copies in 1953 to 20,000 in 1970; and by 1990, the total number of copies sold was more than 4 million. The book has been translated into French, Spanish, Dutch, Chinese, Japanese, Catalan, Hebrew, Brazilian Portuguese, Russian, Swedish, Korean, and Hmong. 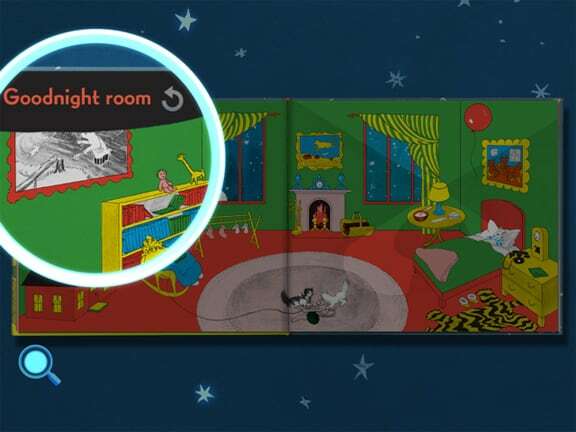 These days, Goodnight Moon is available as an app, in which the reader can magnify parts of the illustration. 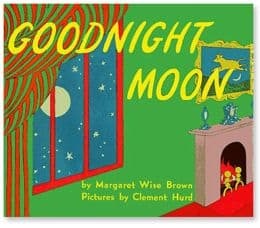 Leonard Marcus has written a book about the making of Goodnight Moon. Author Susan Cooper writes that the book is possibly the only “realistic story” to gain the universal affection of a fairy-tale, although she also noted that it is actually a “deceptively simple ritual” rather than a story. Going with Cooper’s description of ‘ritual’ rather than ‘story’, what other rituals exist which could be made into a ‘deceptively simple’ picture book? For rituals that don’t really exist, but might? A pioneer of the 20th-century picture book, Margaret Wise Brown was born on May 23, 1910 in Brooklyn, New York. Under Sprague’s mentorship, Brown wrote about the familiar—animals, vehicles, bedtime rituals, the sounds of city and country—testing her stories on classrooms of young children. It was important not to talk down to them, she realized, and yet still to speak to them in their own language. That would mean summoning her own keen, childlike senses to observe the world as a child does—which is how one chilly November she found herself spending the night in a friend’s barn, listening to the rumbling of cows’ bellies and the purring of farm cats. Here is a nice profile of one of the illustrators of Margaret Wise Brown’s work — a woman who died recently and who should be more widely known. Her name is Dahlov Ipcar. Sparknotes: Goodnight Moon is a McSweeneys spoof.